Readers, I'm pleased to announce that my short story, Slay Bells, has been accepted for inclusion in You'd Better Watch Out!, a holiday-themed anthology that will be commercially available later this year. Given that Christmas and horror normally don't mix, this collection is bound to carve out an interesting niche and spread plenty of holiday fear...er, cheer! The anthology should be available prior to the holidays, so stay tuned for details! 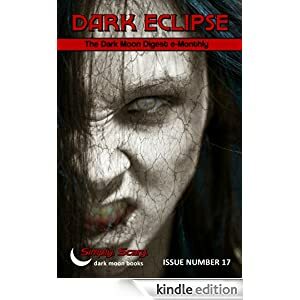 Dark Eclipse issue #17 out, featuring my short story "Beimini"
I've been on a roll scoring some publications late in 2012, and I'm pleased to report that the my short story, Beimini, is being featured in this month's installment of Dark Eclipse! The cover of the issue my story appears in is attached to the right. Beimini is a alternate history retelling of the Ponce de Leon legend. Dark Eclipse is available via Amazon.com [click HERE to purchase issue #17]. This is a great horror magazine with outstanding quality, so check it out! The horror anthology, Dark Side of the Womb, published by Cruentus Libri [UK] is available on Amazon.com! Dark Side of the Womb features my short story, "Unsafe." 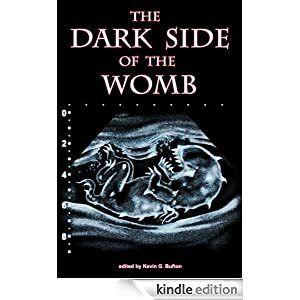 "The Dark Side of the Womb contains stories from the world's finest horror authors, including Ryan Neil Falcone, S.C. Hayden, Ken Goldman, Joseph A. Pinto, Cecilia Dockins, Philip M. Roberts, Christos Callow Jr., Nathan Robinson, Kevin G. Bufton, David Edward Nell, Stephen McQuiggan, Wol-vriey, Michael Wolf, T. Fox Dunham, Lyle Enright and Malon Edwards." Click here to purchase the Kindle version.